It's snack time and there's only one rule: eat or be eaten! You are a tiny monster and need to grow. Gobble up smaller creatures to become bigger and stronger, but be careful that the bigger ones don't eat you. Play through 40 levels, collect coins for bonuses and power ups and earn achievements. Bon appetit! 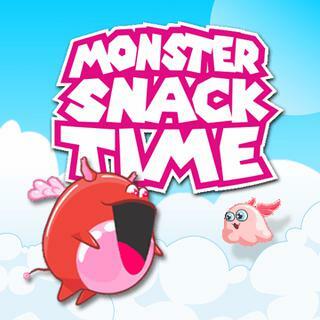 Monster Snack Time - Find Monster Snack Time in our vast HTML5 games catalogue. Only the best and newest HTML5 games for all audiences. Guaranteed success with Famobi.